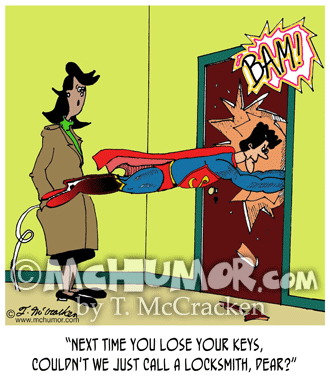 Locksmith Cartoon 5608: Woman saying to Superman who's broken down her door, "Next time you lose your keys, couldn't we just call a locksmith, dear?" 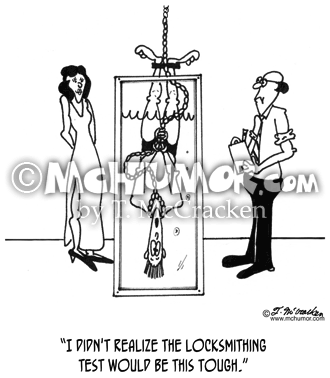 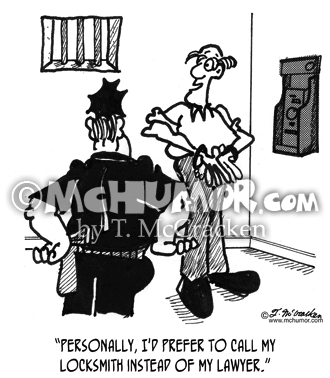 Locksmith Cartoon 4217: A man in handcuffs hangs upside down in a tank of water says, "I didn't realize the locksmithing test would be this tough." 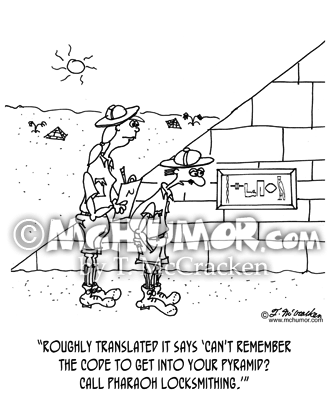 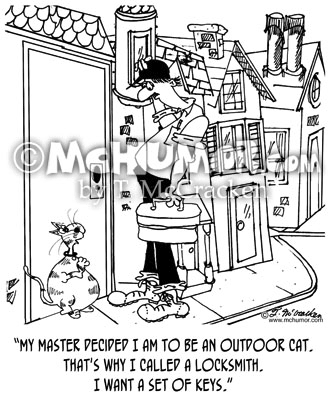 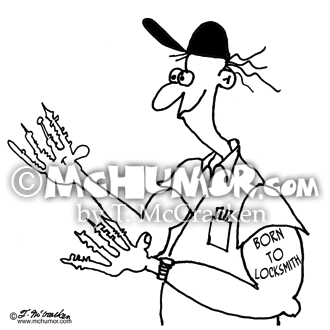 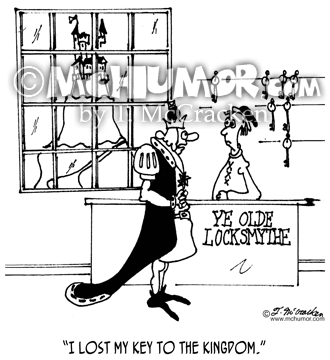 Locksmith Cartoon 4742: A king with a crown in a locksmith shop saying "I lost my key to the kingdom." 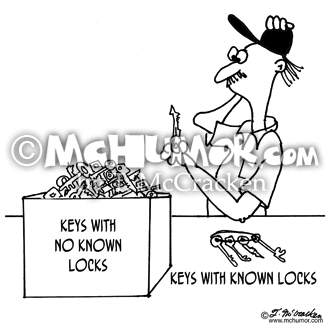 Locksmith Cartoon 4926: Benjamin Franklin's holds a melted key. 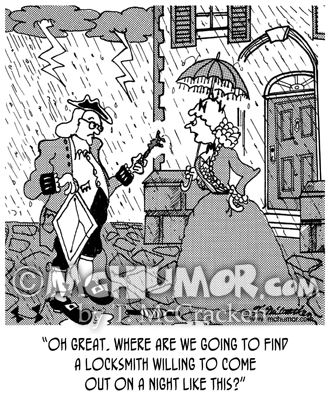 His wife says, "Oh great. 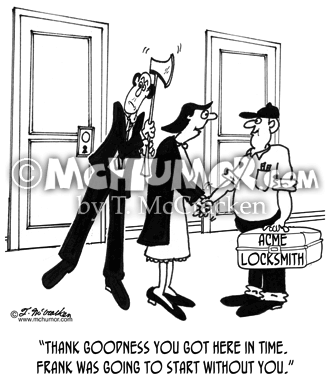 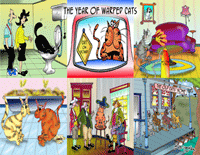 Where are we going to find a locksmith willing to come out on a night like this?"